The Mathematics Teacher in the Digital Era provides essential insights on a centrally important theme in today’s mathematics education: harnessing the capabilities of technology for mathematics learning. Throughout, the authors honor the difficulties, challenges, and obstacles to using technology well, and use their research to illuminate a realistic pathway for teacher professional development. 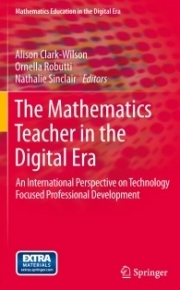 In one convenient volume, this book gathers the key frameworks for making sense of how teacher and technology mutually adapt in order to use mathematical tools to their full potential, while illustrating, elaborating, and critiquing each framework based on sound research.